It’s no secret that we love getting pampered. From a fabulous blow out to an indulgent massage, there’s nothing better than treating ourselves to a little me-time. That’s why when it came to sourcing the best places for a manicure and pedicure in Jakarta, we happily did the field work for you. It’s a tough job, but someone’s got to do it. 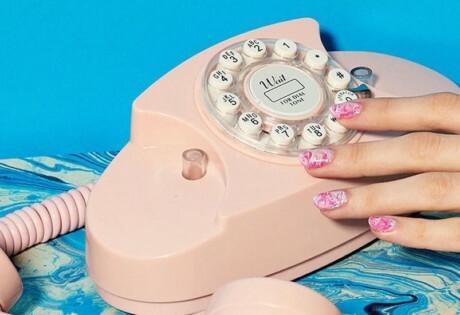 Whether you’re into gel, nail art, or a simple, pretty polish, here’s the dirt on the best nail salons in town. We love treating ourselves to a cream bath and blowout here, and for added indulgence, book in a mani pedi at Blow and Glow. Whether you’re going for an understated polish or want to dazzle with glitter and modern shapes, the results are totally worth it. Blow and Glow, various locations, check website for details. We love Kimi – their attentive technicians understand that each person needs a different treatment depending on the condition of their nails. This means no hard-selling of stuff you don’t need. But once you sit in their oh-so-relaxing spa massage chair (something you can’t really find elsewhere), you may keep those treatments coming! They also carry a wide range of brands like Chanel, O.P.I, CND, and Precision. 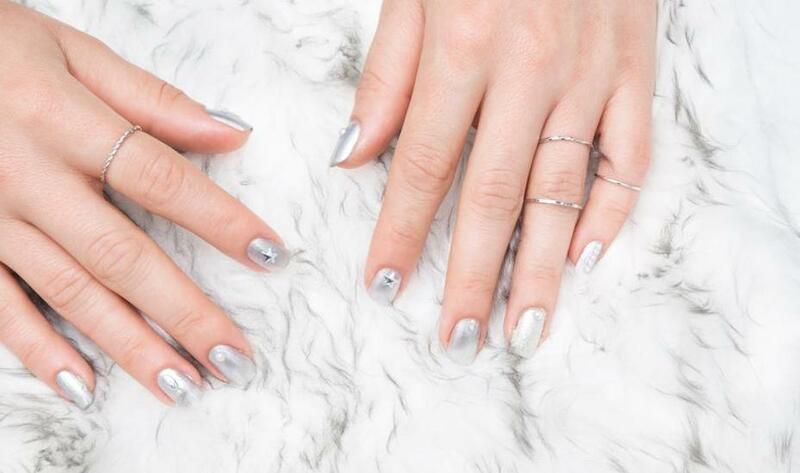 Try Magnetic Gel Polish for some layering fun. Kimi, Lippo Mall Kemang, LG Floor, Jl. Pangeran Antasari, South Jakarta, p. +62 21 2905 6846. Korean lovers will definitely love this place. 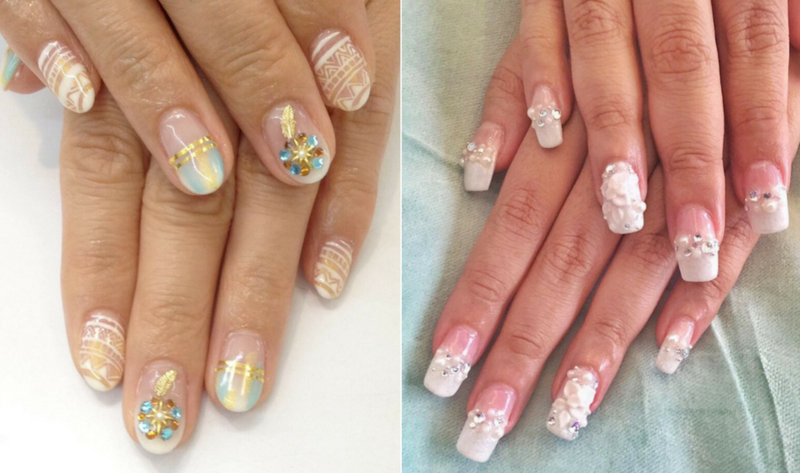 Famous for its Korean nail design, Onnie Studio offers gel extension, spa manicure and pedicure, and its signature 3D acrylic nail art with selections of lace embellishments, studs, glitter ornaments, flower decorations and even cartoon characters. 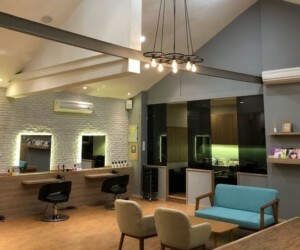 Owned by Joe Taslim’s wife, Julie Taslim, who is also a certified therapist herself, the salon also offers Korean eyelash extension and eyebrow embroidery services. Onnie Studio, various locations, check website for details. One of the most popular places to get waxing done, Pink Parlour also offers mani and pedi services. They have the Speedy treatment for a quick stop-and-go, or opt for the Princess mani/pedi for more pampering (Pssst, they have treatments for your guy, too!). We just hope he (or you) doesn’t mind the overdose of pink decor. Pink Parlour, Pacific Place Mall, Lower Ground Floor No.16, Jl. Jend. Sudirman Kav 52-53 South Jakarta, p. +62 21 5140 0627. Pink Parlour, Lippo Mall Kemang, Level 3, Jl. Antasari Kav 36, South Jakarta, p. +62 21295 28500. With over 250,000 selections of nail design, you will never run out of ideas on how to paint your digits at Tokyo Nail Collection. This nail salon is also one of the firsts to bring the signature gel nail from Japan, which can last up to three weeks. Not satisfied with how your nails turn out? Don’t worry because you can still get a free warranty up to one week after treatment if your nails are damaged. Tokyo Nail Collection, various locations, check website for details. If you want a highly detailed mani complete with edgy embellishments like rhinestones and chrome coloured nails, then NAP Nail Spa and Beauty is the nail salon for you. 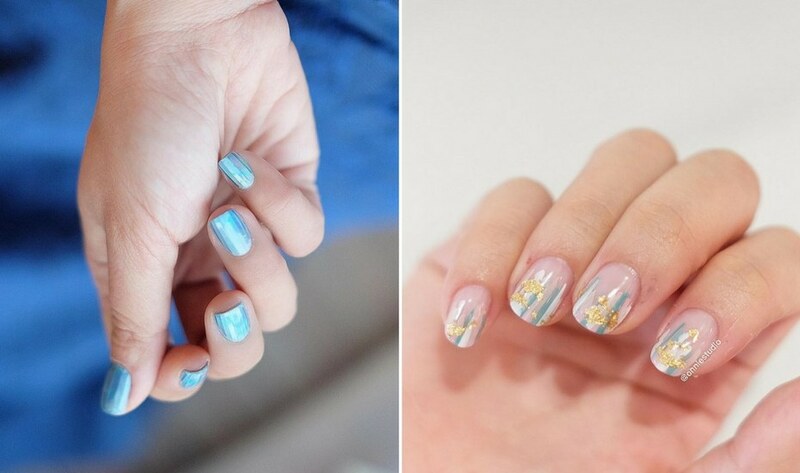 Nail art enthusiasts will love this spot – their expert technicians can even illustrate anime characters like the little miss Hello Kitty on your digits! NAP Nail Spa and Beauty, various locations, check website for details. With plush luxe interiors, Beauty Bar is the perfect spot to host a glamorous girls’ day out or bridal shower. Whether you want talons with gradient glitter or soft matte nudes, the nail technicians at this fabulous salon is able to cater to every beauty-obsessed’s whim. Beauty Bar, various locations, check website for details. 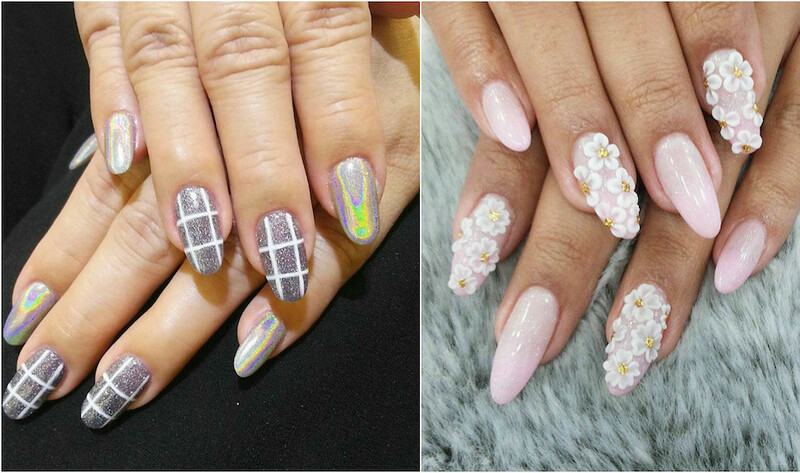 One of the first nail salons in Indonesia to offer acrylic nail extension, 3D nail design and gel nail polish, Her Glam Nail Boutique has been around for almost 10 years. The beauty salon offers nail spa and mani pedi using premium gel and nail polish from O.P.I, Orly, La Palm USA, Inglot, Cuccio, and many more. One of its most unique services is the nail party, where you can celebrate your special days with loved ones while enjoying special nail treatment and dessert. Her Glam Nail Boutique, various locations, check website for details. Located in six malls throughout the city, take a break at Sassi during your next shopping spree. This establishment is staffed with the finest nail-technician graduates from their own academy! They’re big on hygiene and technology, and they’re really professional. A big plus here is if you like the products they use, you’ll can get them online. Sassi Beauty Nail & Spa, Plaza Indonesia, Plaza Senayan, eX Plaza Indonesia, Mall of Indonesia, Metro Gandaria City, and Lotte Shopping Avenue. 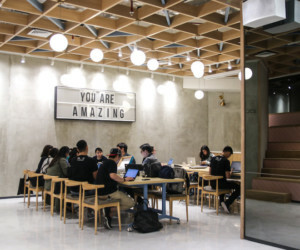 Kookoo has been a Honey favorite for ages due to their their affordable prices, homey setting, over the top (in a good way) hospitality, and not to mention, their up-to-date collections from O.P.I and China Glaze. If you need to be free of fuzz, they also have waxing treatments. 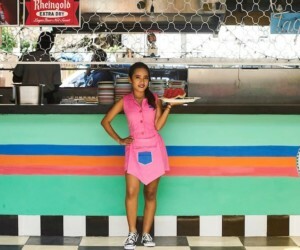 Top off your treatments by taking advantage of the surrounding street-food vendors and restaurants – the staff from Kookoo will send someone to fetch your favorite meal so you get your culinary fix while being pampered. Tip: Purchase your personal mani-pedi tool kit from them – they’ll sanitize and store it for your next visit. Kookoo, Jl. Cikajang No. 39 Kebayoran Baru, South Jakarta 12170, p. +62 21 720 3393. O.P.I might be mass market, but it’s still one of the most trusted nail polish brand in the world. Care for your nails at one of their four authorised salons in your favourite malls with O.P.I’s top-of-the-line nail-care treatments. And if you fancy giving yourself mani-pedis at home, this is the place to get authentic O.P.I products, since we know there are plenty counterfeited ones out there! O.P.I Nail Spa, Plaza Senayan, Plaza Indonesia, Mal Taman Anggrek, and Gandaria City. See here for more details. At ORLYmiin, beauty lovers can pamper themselves from head to toe with its extensive range of services such as nail treatment, eyelash extension, waxing, as well as eyebrow, eyeliner and lips embroidery. Using only premium nail and gel polish by Orly, this Korean beauty lounge offers hand and foot spa, as well as nail art and extension. Want an edgy, one-of-a-kind design for your nails? Get its signature Glass Nails, which use holographic nail wraps that give a cool glass shattered effect. ORLYmiin Beauty Lounge, Plaza Indonesia Beauty Floor Level 4 South #011-11A, Central Jakarta, p. +62 21 2992 4319. Dandelion’s stylish mani-pedis are bold without being overtly gaudy, with stunning designs that are delightfully modern and can be well worn into the work week. It specializes in manicures with holographic hues – think glimmering unicorn, deep celestial blue and glittery rose gold that pops prettily. If holographic hues aren’t your thing, fret not, Dandelion’s skilled technicians can also whip up appealing abstract textures, lust-worthy marbled colours, gold foil and yes, cool chrome covered nails. Dandelion Salon, Jl. Metro Pondok Indah SG21, South Jakarta. 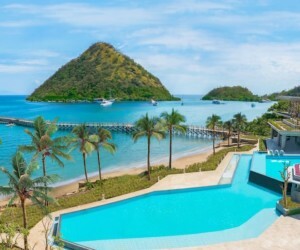 p. +62 8121 622 622. Like what you’ve read? Sign up for our weekly newsletter!